In keeping with our longstanding commitment to the use of technology to deliver state-of-the-art headache care, The Michigan Headache Clinic is now offering telemedicine for virtual visits. A virtual visit is like an office visit, only it is done face-to-face over the internet with secure video technology, since most of our headache visits are conversational, in the office or online. The medical assistant will call and ask you questions, as they currently do in person, about how you are doing, along with other structured information about symptoms and medications and about anything new which might have developed since your last visit. 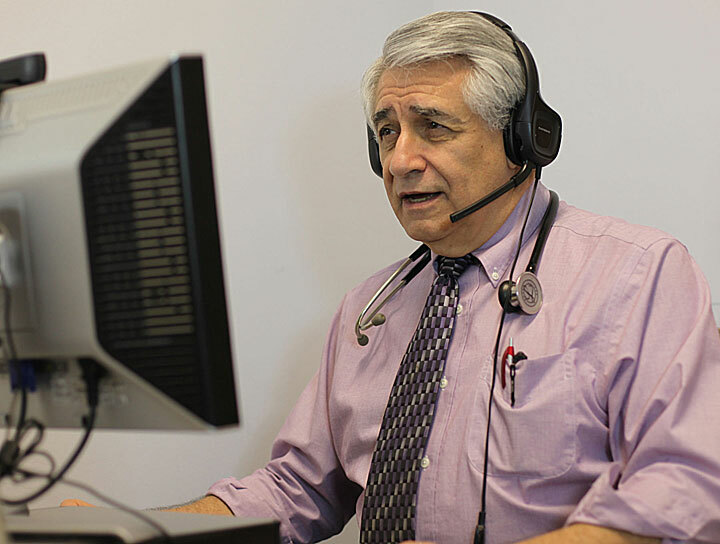 Our new technology allows us to conduct clinic visits through the Internet, with Dr. Edmund Messina or one of our clinicians: Heather Bolton PA-C, Katelyn D'Onofrio MS FNP-C, Sandra Jones MSN, FNP-C, along with our medical assistants and registered nurses as usual.